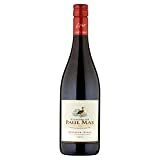 Compare the latest prices and discounts on Paul Mas wines. Look into reviews, awards and Price History to get all the information you need to make the best buy. Redeem our exclusive vouchers to save more. Sign up to Price Alerts to never miss a deal on your favourite bottle. Southern French wine producer Paul Mas has enjoyed a meteoric rise to fame in less than 15 years. The company was founded as recently as 1999, yet is now one of the leading wine producers in the South of France, and one of the biggest sellers of French wines in the UK today. The catalyst to this success, in only 12 years, is Jean-Claude Mas, the 4th generation of a family of grape growers, who took over the family estate of 35 hectares in the final year of the 20th century. Today, the company owns over 408 hectares, across 7 estates, and has strong contracts with growers over a further 800 hectares. It produces 16 million bottles of wine per annum, with a turnover of 36 million euros, and has won more accolades and awards internationally, than the number of years it has been trading! At a stage where France has been losing market share in the UK, and now sits only in 4th position, down from its position as king of the market 15 years ago, having been overtaken by Australia, California and Italy, Paul Mas is a shining beacon. The company has pioneered modern style, southern French wines, in a variety of guises, but all approachable, and accessible, with a very firm focus on the UK market. It is a business geared to export, with over 95% of its wines sold on the international market. What’s The Background To Paul Mas? Domaines Paul Mas was founded in 1999 by Jean-Claude Mas, the 4th generation of a family of vine growers, who is both owner and head winemaker of the company. With an upbringing steeped in the traditions of the vineyards, and having studied in Lyon, Nancy and England, Jean-Claude took over the reins of the family business, and began a transformation and development programme, which was to catapult the company to the heights of international wine fame within the first decade of its creation. His mission was to create a company that focussed on driving sales internationally; of producing wines from classic and historic regions, with a new World approach; and of making communication about these wines easier to the wine drinker. He wanted to make his wines accessible in both ease of recognition of label, and also in terms of style of product. 12 years on, and not only is he one of the foremost winemakers and successes in the French wine industry, he’s won the Observer winery of the year award, given by Tim Atkin MW, armfuls of awards at Decanter and the International Wine Challenge competitions, and also scooped the Decanter Trophy for the best white wine in the world under £10 in 2013. Unlike many more traditional French wine producers, Jean-Claude Mas has a very focussed strategy and approach to how he develops his wines. He believes that the process starts in the vineyard and only finishes, when the customer has picked the bottle off the shelf. His philosophy starts with vineyard management, to ensure the right grapes are grown in the best locations, and that they are looked after and picked at the optimum time; vinification processes and ageing are tightly controlled, to maximise the quality and style of each wine; bottling in state of the art winery conditions, labelling, and marketing to the consumer is of equal importance, in order to help them understand and relate to the wines. The fact that a Frenchman names an estate and a wine ‘Arrogant Frog’ is testament to Jean-Claude’s forward and international way of thinking, paying no homage to tradition, apart from the origin and the heritage of the vineyards, and the inherent style of the wines. Today there are 7 wine estates, within the Paul Mas portfolio, within the Languedoc-Roussillon region: Château Paul Mas, Pézenas et Montagnac; Mas des Tannes, Montagnac; Clos du Moulinas, Pézenas; Château Teramas Astruc, Malras; Château Arrogant Frog, Gaja et Villedieu; Château de Martinolles, St Hilaire; and Château Crès Ricards, Ceyras. It is from these estates, and the 800 ha of vines from 70 growers, with whom he has contracted agreements, that Jean-Claude Mas produces and personally blends a wide range of Languedoc wines, which are reaching ever increasing international critical acclaim, and most importantly high levels of sale. The wines continue to reap critical acclaim; in 2014 alone, Domaines Paul Mas won an impressive 40 gold medals for the 2012 vintage and 12 Paul Mas wines were selected among the TOP100 Languedoc wine competition 2013, with 2 winning trophies. What Styles Of Wine Does Paul Mas Make? Domaines Paul Mas produce a wide variety of styles under various brand names, from varietal and regional wines, to single estates. 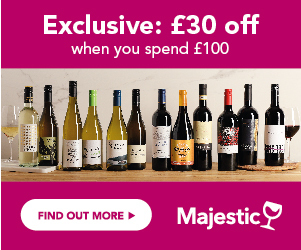 The wines from the main estate, Château Paul Mas, including the single vineyards, the estate level, the single varietals and the blends are the main range, seen in the UK, in supermarkets and Specialists such as Majestic. In addition, wines from the other 6 estate are also available from many independent wine shops throughout the country. Cote Paul Mas – this entry level range of white, rose and red, with its bold, modern, Mediterranean-inspired labels, offer fresh, modern, easy drinking styles of wine. Vignobles Paul Mas – this is the core range of varietal wines, which are produced from grapes from across the 7 estates, and also from the contracted growers, and include single varietals such as Chardonnay and Mourvedre, and dual varietals, such as the creamy, fruity Chardonnay-Viognier and the rich, spicy Syrah-Viognier. There is also a zesty Vermentino and a soft, plummy Merlot. Paul Mas Estates – this is a range of whites, rose and reds, which are produced entirely from grapes grown on the 7 estates, and comprise modern style varietal and dual varietal wines. Some of the most popular are the fresh, herbaceous Sauvignon Blanc, the deliciously fragrant and elegant Marsanne, and rich, powerful, but approachable Cabernet Sauvignon and Carignan reds. Single Estates – the range then moves to single estates; the most popular in the UK are wines from the Nicole vineyard, which produces, amongst others, a spicy, bold, apricot-scented, Viognier. Chateau Paul Mas – the pinnacle of the range, with wines crafted from wines produced on the ‘Nicole’ estate in Montagnac, made from grapes grown on 2 of the estates in Pezenas and Montagnac. Rich, bold, intense, and truly reflective of the heritage of the region, but in a modern style.